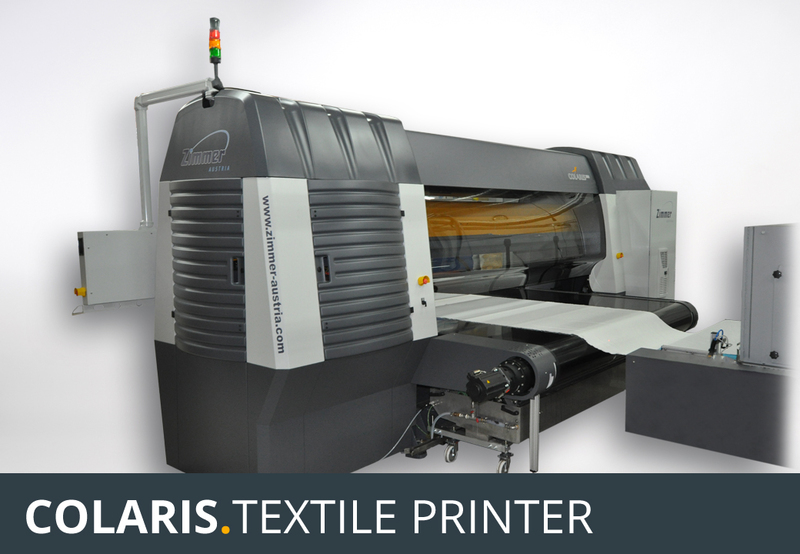 We developed the first flat screen printing machine, followed by the rotary screen printer. The digital age started in the 70's with our development of the Chromotronic printer. 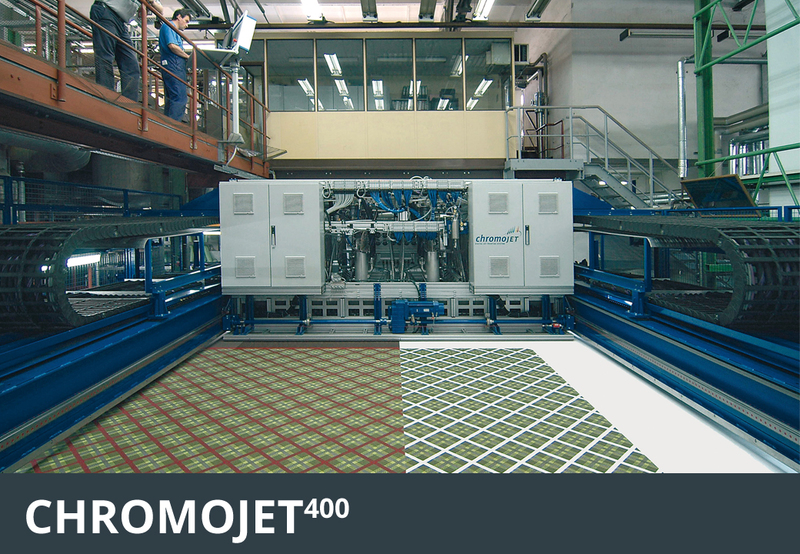 In the 80's, the CHROMOJET system was born - and is still the "Number One" printing method for carpets. 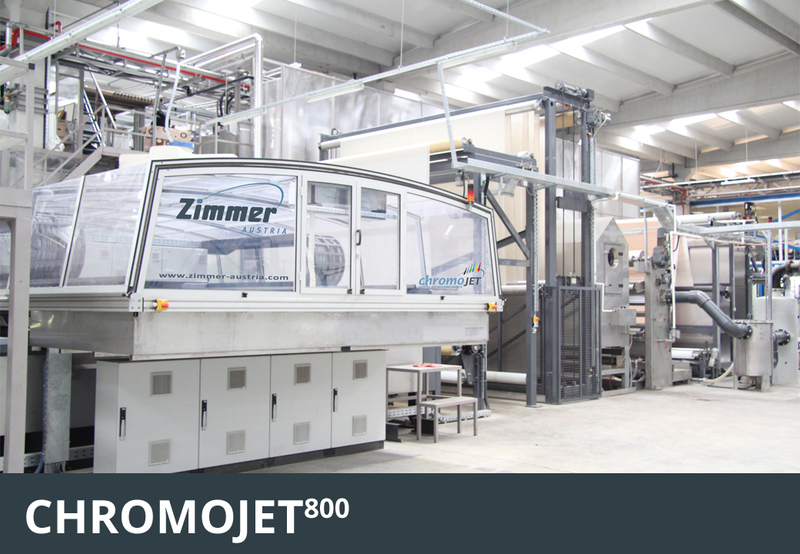 We do not only supply complete printing lines - we also offer process technology and know-how. 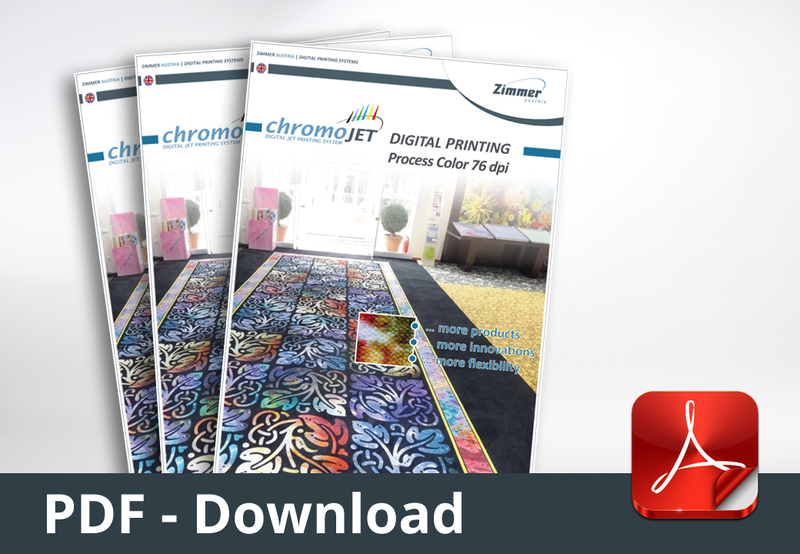 Carpet printing is becoming more and more popular. 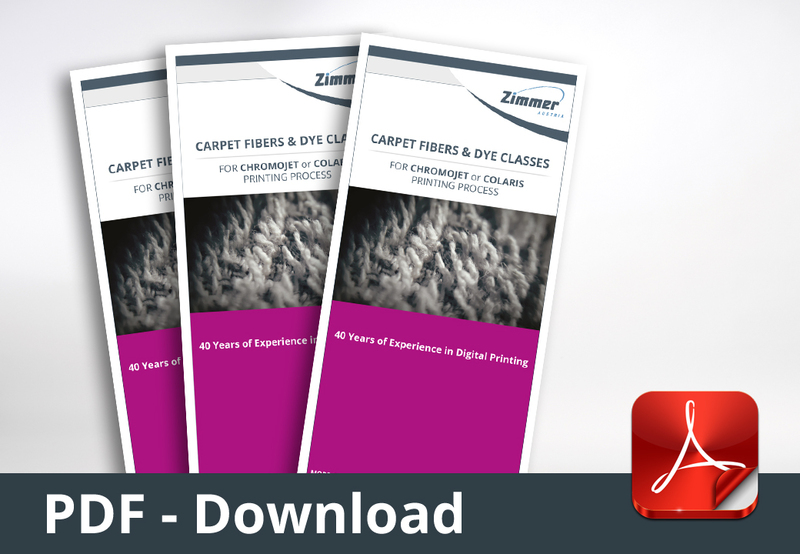 Most of the printed carpets are made out of tufted carpet constructions, using polyamide and wool as face fibre. The newest trend is using Polyester as face fiber because of its price advantage. 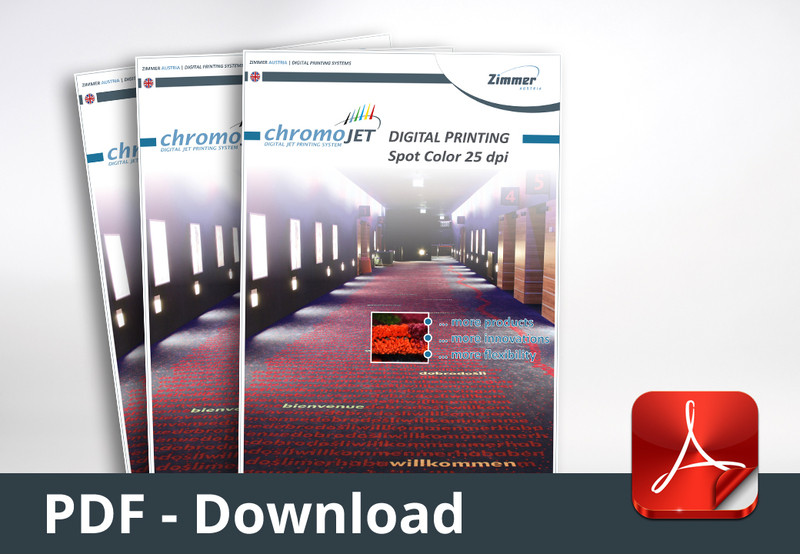 ZIMMER AUSTRIA offers 3 major printing methods, all based on digital technologies. 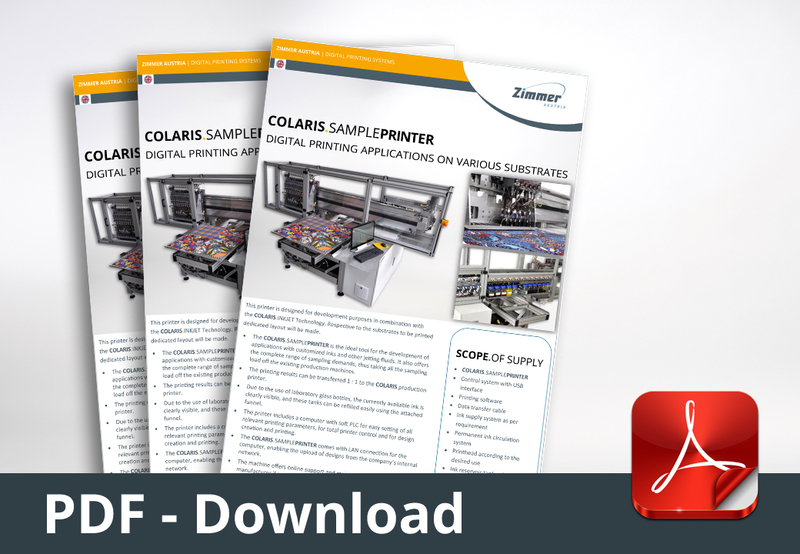 All printing systems are available as complete printing lines or as stand-alone solutions.